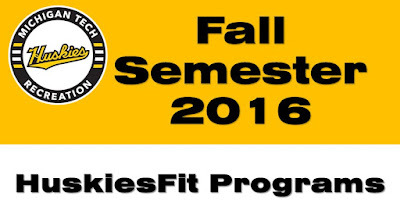 Check out this Fall’s lineup for both adult and youth fitness classes in the Fall 2016 HuskiesFit Program Guide. Cost is $50 for the general public, $33 for Michigan Tech students. 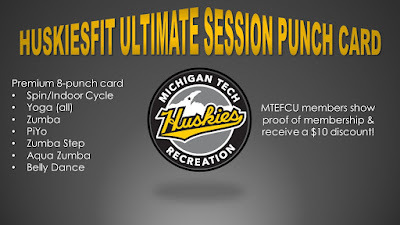 MTEFCU members who show proof of membership receive a $10 discount on this card. The card expires December 17, 2016. Registration is now open for Little Huskies Boys and Girls Basketball Leagues as well as Little Huskies Volleyball Club. You may register in person at the SDC Ticket Office, by calling 906-487-2073 or online.